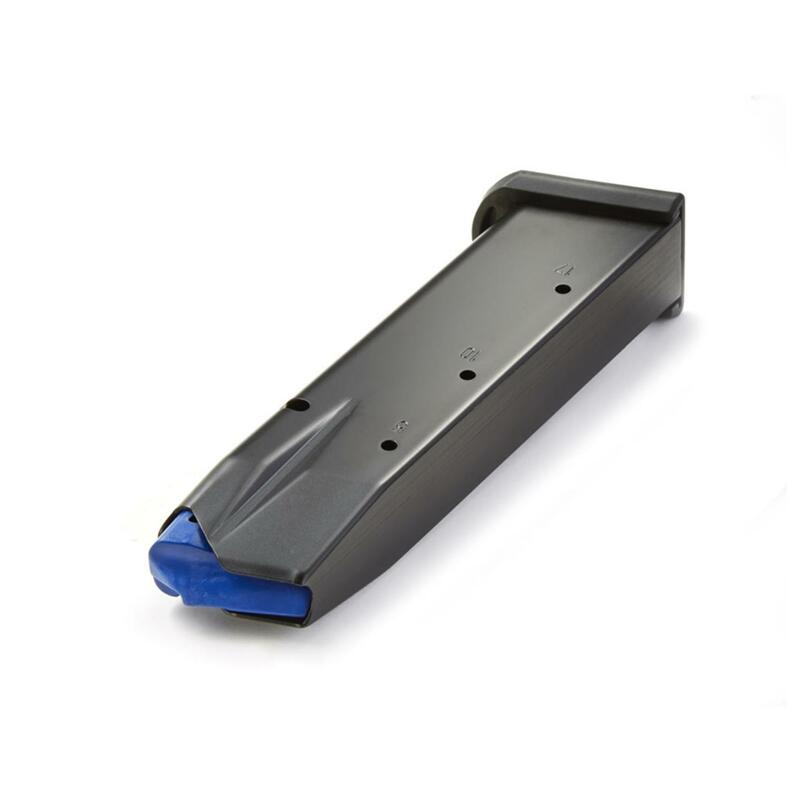 Hi-Cap CZ75B, Mec-Gar 9mm Caliber Magazine, 17 Rounds is rated 4.8 out of 5 by 12. Rated 5 out of 5 by MrAnonomous from They better be good. My life depends on it I have 12 previous hand tuned magazines from a factory supplier that I kept and culled 12 out of an order of 24 magazines. The ones I just purchased will either be individually hand tuned at my discretion or returned. They look pretty good but we will see. If they are not up to my standards then I will not touch them and send them back. Yes I have shot IPSC. Yes I was good. Rated 5 out of 5 by Mikwass67 from CZ75B Magazine Bought 2 of these magazines for a EAA SAR K2P 9mm pistol. Both magazines fit perfect without any modifications/adjustments. Ran both magazines fully loaded twice without any failures to feed and/or fire. Highly recommend for use in the SARK2P. Rated 5 out of 5 by Cactusjoe from Fits perfect I just got my 17 round Mec-Gar magazine for my SAR B6P 9MM 16 round semi Auto 4.5" pistol. This mag. was made for the CZ 75B . It works just like the one that come with my Sar B6P. It actually fits better. The one that come with the gun rattles when the slide is locked back,but the Mec-Gar is firm. It ejects with no problems and snaps in with a light bump to it. Feeds rounds through like a charm. I couldn't find any magazines for the SAR B6P 9mm so I did my home work and this is it. Mec-Gar 9mm Hi-Cap CZ 75B. photos below are Mec-Gar CZ 75B 9mm mag is blue and Sar B6P 9mm is red. Hope this helps with anyone looking for an extra clip for their SAR B6P 9mm. Rated 5 out of 5 by Chandler from Great price Great price on some magazines that I bought for my CZ. Rated 4 out of 5 by noonespecial from Good value the finish wears very fast. before you know it down to the metal, anti friction coating is gone, but 100% reliable they pass. Rated 5 out of 5 by Charliek from It's a Mec-gar... What else can I say, it's a Mec-gar. Top quality, never an issue with these fine magazines, usually the same mag as OE, but at a lower cost.